With just a couple of months remaining, are you sitting and wondering when did the year pass you by? You are not alone if none of the travel plans that you made for 2018 have turned into reality. But guess what! The year may be concluding soon, but it’s not over yet. There are still two months left for you to explore the places you haven’t been before and make 2018 a year to remember. And, you couldn’t have asked for a better time to kick-off on a vacay! With the scorching summers finally over and the winter season making its way, it’s a fabulous time to book cheap flight tickets and spend a few revitalising days in the destination of your dreams. Now, to make things a tad easier for you (like we always do), we are bringing you a short list of all the destinations that you can explore in November and December. You can pick one of these and start planning the holiday right away! So, without any further ado, let’s get straight to the list. With monsoons in the rear-view mirror and the cold winters yet to take over the entire country, November presents a great time to head out for a jaunt with friends or family. Take a look at all the bewitching places you can explore during this time. 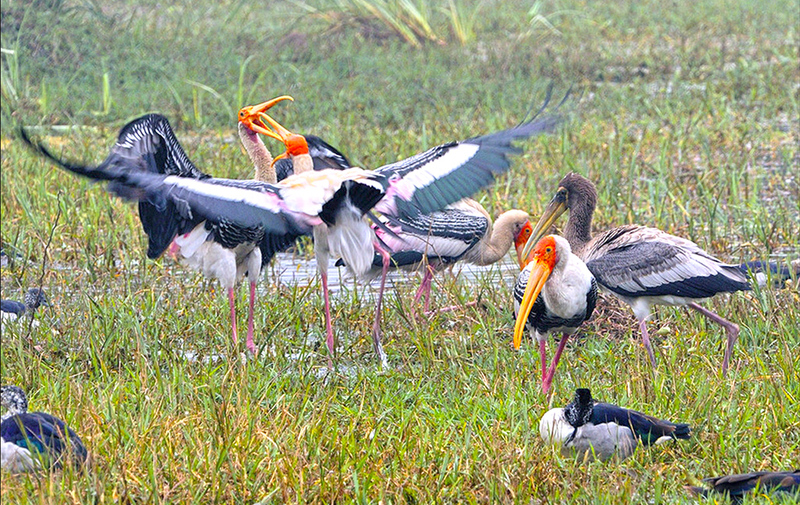 Also known as Keoladeo National Park, Bharatpur is one of the best bird sanctuaries you can find in India. This 29-square-kilometre-wildlife area is a paradise for ornithologists and casual bird watchers boasting hundreds of species of birds. November is when you can behold the 230+ resident as well as dozens of migratory birds. A number of good accommodation options are available in the proximity of the area. You can go online and make hotel bookings in advance to avoid last-minute hassles. 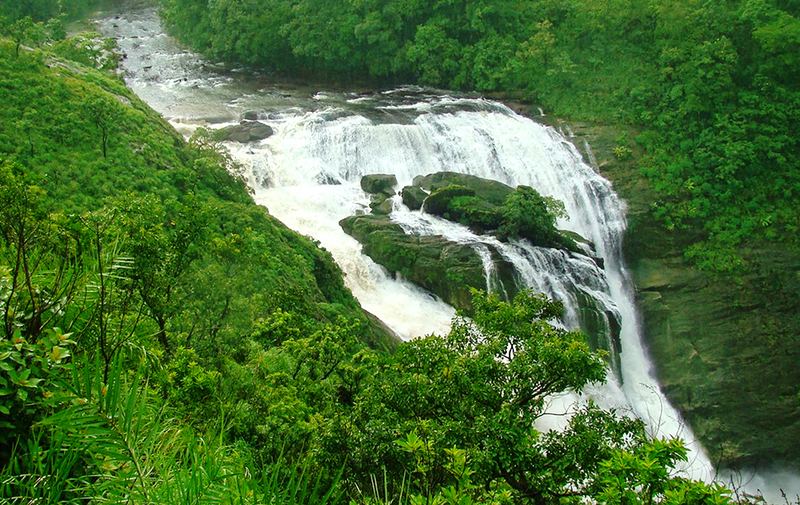 Touted as the “Scotland of India,” Coorg is defined by its sprawling coffee plantations, flourishing greenery, cascading waterfalls and rich biodiversity. Its gorgeous landscape which appears even more breath-taking, engulfed in a thin layer of mist, is sure to cast a spell on you. Visit the place in November after the monsoon downpour has cleansed its environs of all impurities. 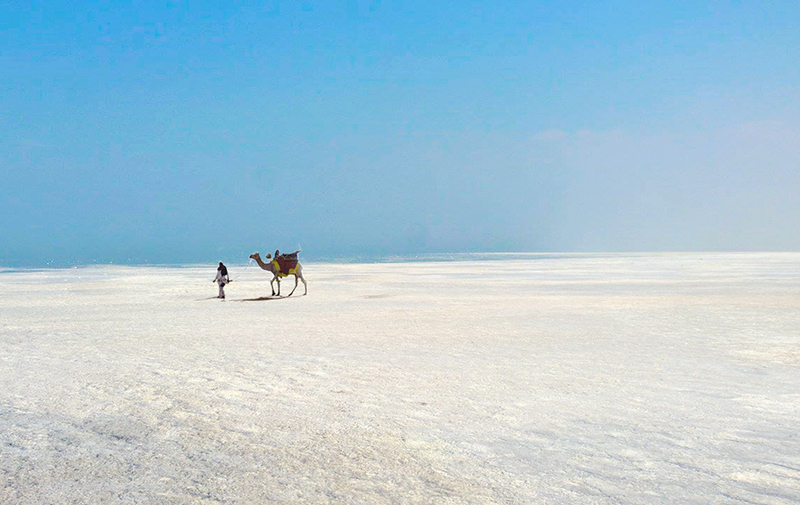 The Great Rann of Kutch is nothing short of a natural wonder. Nestled in the Thar Desert in the state of Gujarat, this 7500-square-kilometre-area is also famed as one of the world’s largest salt deserts. It is also the venue of the vibrant Rann Utsav which draws thousands of people from near and far. It is a cultural fiesta replete with colourful dresses, folk dance performances and more, giving you a glimpse into the local way of life. The festival will kick-off on 1st November, so book your air tickets online soon to avoid last-minute price hikes. 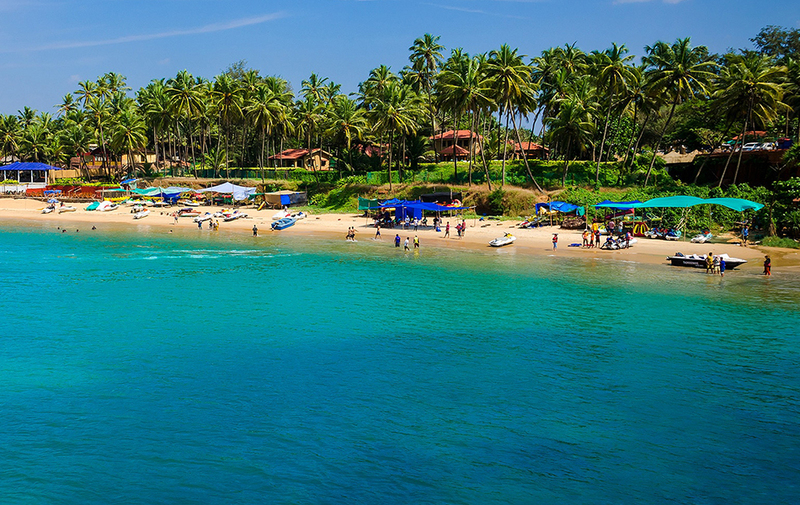 If you wish to escape the chilly weather of the northern part of the country, then there’s no better choice than India’s ultimate party destination – Goa. It is one of the best places to visit in December as during this month, the state comes to a new life with crazy beach parties, buzzing music festivals, and of course, exquisite weather. There’s no dearth of amazing experiences for you to indulge in during this time of the year. Just relax on the beach or head towards to ocean to try adrenaline-pumping activities. Perched at an altitude of about 4000 metres in the Himalayas, Manali turns into a mesmerising white realm of snow come the winter season. 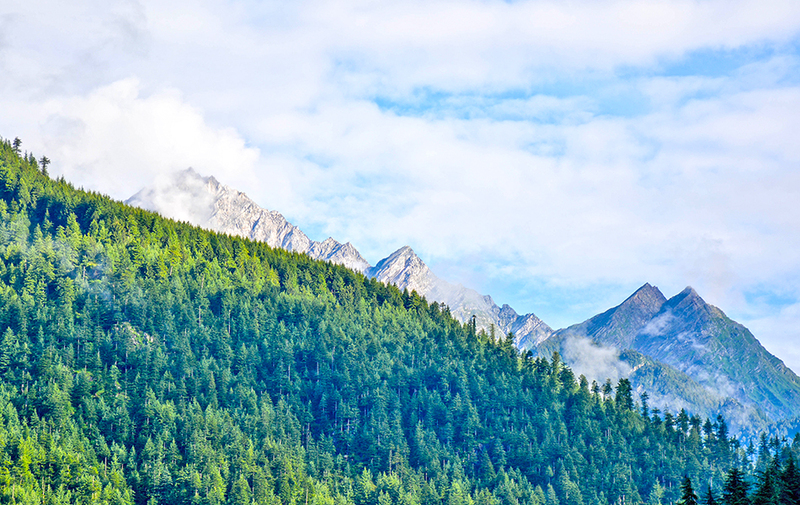 So, if you are in search of vistas of a truly magnificent landscape, then this scenic hill station can be a great bet. Winter is a magical time here, and that is why it is counted among the best places to visit in December. From partaking in activities like paragliding and ice skating to simply exploring the myriad local hotspots like Hidimba Temple, Mall Road and Bhrigu Lake, there’s a lot you can do in Manali in December. 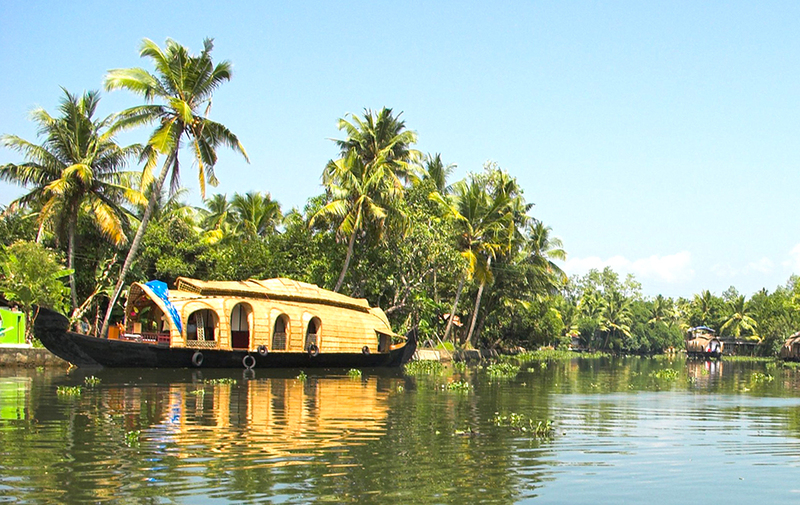 The backwaters are perhaps the best feature of Kerala, and the perfect place to explore this natural heritage of the South Indian state is Alappuzha. The town teems with tranquillity, and sceneries that are sure to evoke an ‘awe.’ December is when you can evade the scorching heat of South India and explore the beauty of this mystical destination to the fullest. Do not forget to attend the 10-day festival referred to as Mullackal Chirap observed here during this month. So, even if 2018 hasn’t gone the way you wanted it to so far, there’s still ample time for you to turn things around. And, now that you know your best options, all you have to do is grab a cheap flight booking offer and get set to make some memories.